The 'Venice of the East', Alappuzha blessed with the silvery waves of the Arabian Sea welcomes you to one of the best Backwater tourism destinations in God's Own Country. 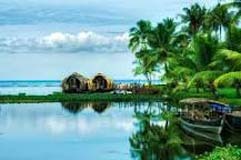 Alleppey the ayurvedic and the backwater country is popularly referred as the Venice of the East.Alleppey with its intricate structure of interconnecting passages of canals and bridges along with the silver beach, makes for a memorable holiday for anybody visiting this place. Agumbe in Karnataka in the district of Shimoga is a very famous hill station.This hill station is also popularly referred as the Cherrapunji of the south for it receives a high rainfall in the south . 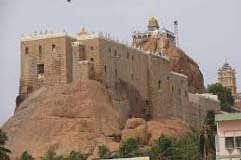 Anantagiri is located along the Eastern Ghats at the top of the Elysian Tirumala Hills .This is also known as the summer resort place of Vizag. The ideal time for making trips to Anantagiri Hills is between the months of March and October . 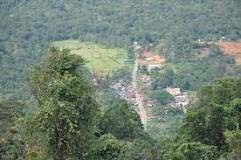 Araku Valley is situated close to the Odisha state border in the Visakhapatnam district of the Andhra Pradesh state. The best time to visit the valley is during March-April .This valley promises the tourists a very pleasant and cordial weather . 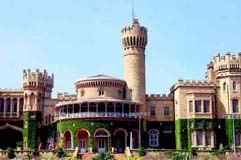 Bangalore is the capital of Karnataka.This is the garden city of India with many gardens and boulevards. Bidar is located in the northeastern part of the state of Karnataka, in the southern region of India. 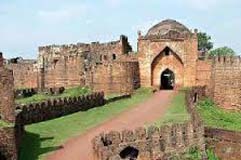 Bidar Fort, Madrassa of Mahmud Gawan, Chaubara, Guru Nank Jhira, Humnabad is one of the major tourist destinations of bidar in Karnataka. 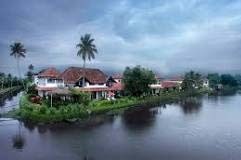 Kozhikode or Calicut is situated in the south Indian state of Kerala on the southwest coast of the Arabian Sea. 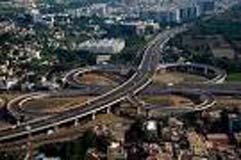 Chennai is the capital of Tamil Nadu.It is the fifth most populous city in India.It is situated on the Coromandel Coast of the Bay of Bengal. 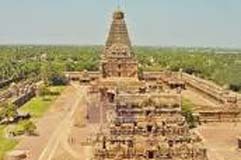 Chidambaram which sprawls over an area of 5 sq. 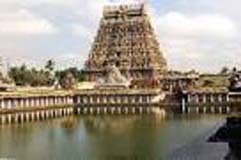 km, is a small town situated in the east central part of Tamil Nadu at a distance of 250kms away from the state capital, Chennai. The place is also known for its culture and tradition. 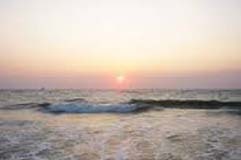 The Cherai beach known as the 'Princess of the Arabian Sea’ is situated at a distance of about 35 kms from Cochin and on the north end of Vypeen Island. The unique feature of the Cherai beach is that lot of Dolphins are sighted here. 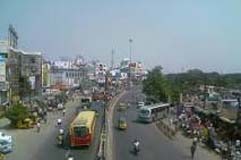 Coimbatore is the third largest city in Tamilnadu.This city is situated on the banks of the river Noyyal. 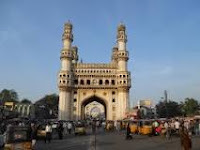 It is also known as "Manchester of South India" or the Cotton City. 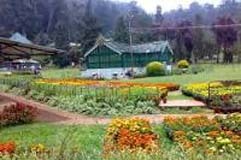 Coonoor falls first in place of the three hill stations in Nilgiri namely Coonoor, Ooty and Kotagiri.It is also popularly referred by the British as the small tea garden. Coorg is a place which has plantations like coffee and sandal wood trees and in the Karnataka state it is the biggest producer of coffee. Devikulam also means the lake of the goddess. 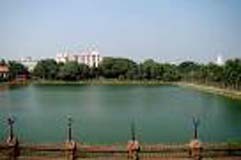 There are legends and folklores which tells that in the epic Ramayana Sita and her husband lord Rama in their exile period came down to frolic in the mountain lake here. 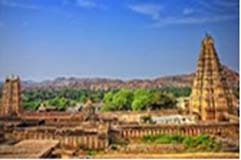 Hampi in the state of Karnataka is situated on th banks of the Tungabhadra river and is one of the noted UNESCO World Heritage Sites. 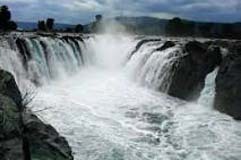 Hogenakkal located at the borders of Tamil Nadu and Karnataka is popularly referred as the Niagara Falls of India. 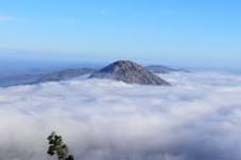 The word Hogenakkal in Kannada means 'Smoking Rock' which otherwise means from the cloud of mist and spray, that envelopes the chasm. 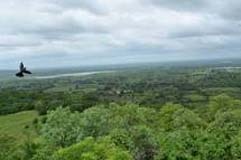 Horsley hills concentrated in the Southern part of India are at an altitude of about 4,152 ft in the Nallamalai Range on Andhra's southwestern border with Karnataka. Hyderabad is the capital of Andhra Pradesh.It is the sixth largest city of Indian Union.It lies on the banks of river Moosi. 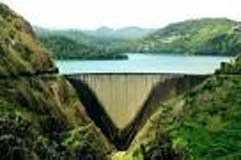 Idukki is the home to South India's highest peak, Anamudi, along with 13 other peaks with a height of over 2000 m, and some important rivers like Periyar, Thodupuzhayar and Thalayar. 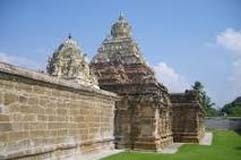 Kanchipuram the golden city of a thousand temples is one of the seven most sacred cities of India. It is considered to be as India's seven sacred cities and the second holiest after Varanasi. 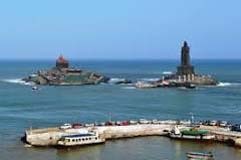 The unique feature of Kanyakumari is the view of Sunrise and the Sunset where lot of tourists assemble at the shore to witness this breathtaking sight. With long stretches of sands of many hues, the beach offers a welcome change. Karwar is an excellent beach resort in the Kanara District of Karnataka.It is at a distance of about518 kms from Bangalore .Yathra is one of the annual festivals celebrated in Kurumgad Island of Karwar. 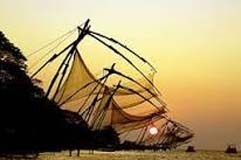 The commercial capital and the most cosmopolitan city of Kerala, Kochi along with its mainland part, Ernakuam is also known as the Queen of the Arabian Sea. 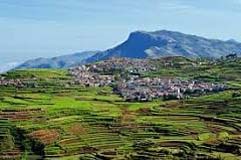 Kodiakanal is situated in the southern state of Tamil Nadu.The town of Kodaikanal sits on a plateau above the southern escarpment of the upper Palni Hills at 6,998 ft, between the Parappar and Gundar Valleys. It happens to be one of the oldest and largest hill stations in southern India. 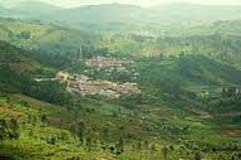 It is also one of the important centre for tea industry next only to Coonoor. 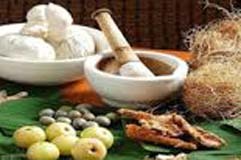 Kottakal is noted worldwide for its Ayurvedic treatment.Kottakkal Arya Vaidyasala is one of the pioneer institutions of Ayurveda which is the traditional system of health and medicine. 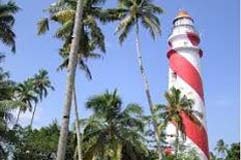 Kovalam, the star attraction of Trivandrum is about 16kms south of the city, is an enchanting sea resort and ayurvedic centre.It is a place noted for rejuvenating Ayurvedic massage and yoga facillities. 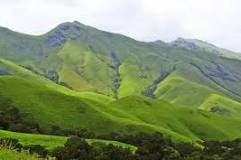 Kudremukh about 95 kilometers south-west of Chikmaglur town in the Karnataka state is at an altitude of 1,894.3 meters above sea level.Kudremukh got its name because of the unique shape of the Kudremukh Peak. Kumarakom is actually a cluster of islands on the Vembanad Lake. The Vembanad Lake plays an important role in the Kerala backwaters. 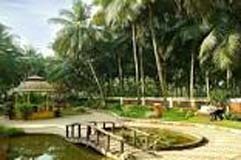 Kumarakom is situated at a distance of about 16 km from Kottayam town. 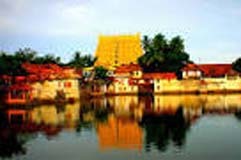 Kumarakom is also noted for its other holistic age old treatments like Rasayana Chikilsa, Abhyangam, Dhanyamladhara, Ksheeradhoomam, Pizhichil, and Sirovasthi. 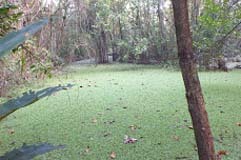 Kumarakom Bird Sanctuary spreads over an area of about 14 acres and is totally under the control of Government of India for it was also established by them to preserve the natural habitat. 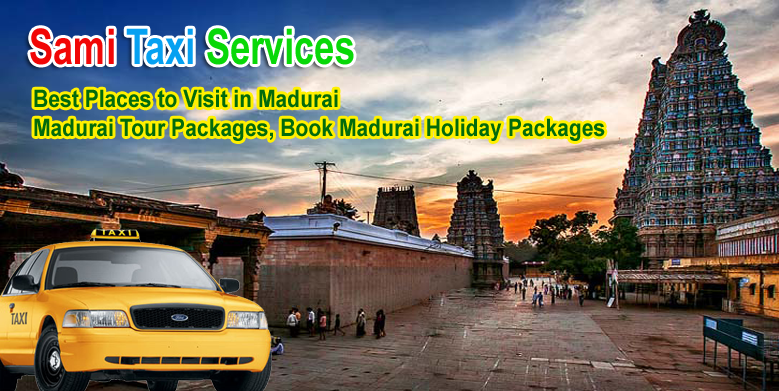 The city of Madurai was planned and laid out on the pattern of a lotus flower, with the famous Meenakshi Temple in the centre.It is situated on the banks of the river Vaigai. 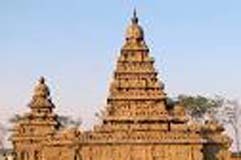 Mahabalipuram washed by the shores of the Bay of Bengal is noted for its coastline which spreads for atleast 20kms. Its beautiful and unspoilt beaches stretching for miles, and lined by groves of casuarinas is another great attraction. The Malpe beach is an ideal place to retire from the hustling and bustling noise of the town. The main economic activity in Malpe is the fishing industry and is also one of the biggest industry in tile manufacturing. 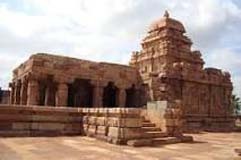 It is located in the Karnataka state at a distance of about 50kms from Udupi. It is on the way from Murudeshwar to Bhatkal, right on the national highway that leads to Panaji, Goa. 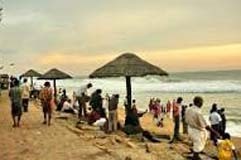 The Marina beach is one of the finest and the second longest in the world and ranks first in Asia. 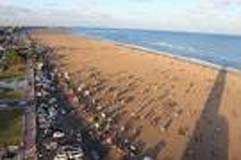 The Marina beach which adjoins the Bay of Bengal is located on the eastern side of the city of Chennai and it stretches to about 12-km long. Mangalore on the west coast of India in the Dakshina Kannada district of Karnataka. 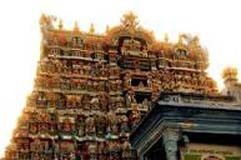 Mangaladevi Temple, St. Aloysius Church are some of the major tourist destinations of Mangalore. 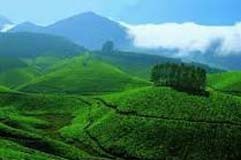 Munnar amidst beautiful landscapes often referred as the Kashmir of South India is more essentially a tea town. 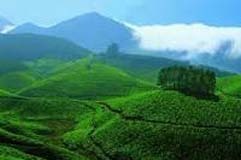 Munnar gets its name from the fact that this is the place where the 3 mountain streams join together and they are Madurapuzha, Nallathanni and Kundala. 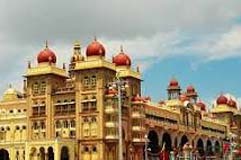 Mysore city is 140kms away from Bangalore is a city of palaces,gardens,shady avenues and sacred temples. 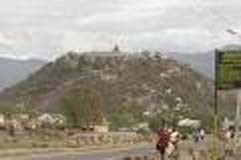 Sharvanbelgola ,which is nestled between Indragiri and Chandragiri is the famous Jain centre of pilgrimage. Pahalgam in the state of Jammu and Kashmir about 95kms away from Srinagar is concentrated more towards the Western region of the state amidst the Himalayas. 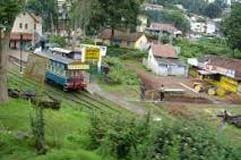 Ooty is nestled in the verdant hills of the Niligris. 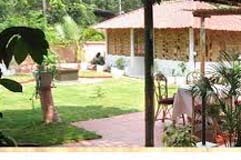 The beautiful hill resort is situated at an altitude of 2,268 m and is part of Tamil Nadu. 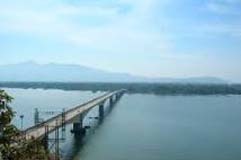 Palakkad in the state of Kerala lies near the Palghat Gap and it runs parallel to the west coast of India, and connects Kerala to the plains of the state of Tamil Nadu to the east. 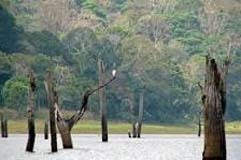 The Periyar Wildlife Sanctuary one of the world's most fascinating natural wildlife reserves in Thekkady is amidst jungles of Periyar and it is distributed over an area of about 777 sq.km. 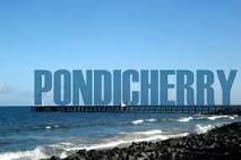 Pondicherry is situated at a distance of about 160 kms south of Chennai on the Coromandel coast. 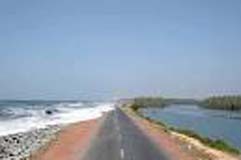 Pondicherry is surrounded by Bay of Bengal on East, and on the other sides are the South Arcot District of Tamilnadu. 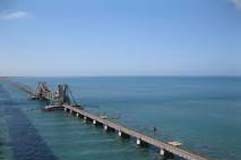 Rameshwaram is in the district of Ramanathapuram in Tamil Nadu. Rameshwaram the sea swept island is popularly called as the 'Benaras of the South'. 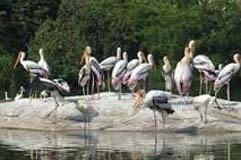 Ranganthittu Bird Sanctuary in Karnataka is situated in the Srirangapatna town of the Mandya district. It is of great interest to wildlife enthusiasts, nature lovers and bird watchers. 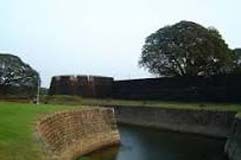 Thrissur situated on top of a hillock is a prosperous town noted for its old palaces, fort, temples and the famous Pooram festival.The actual meaning of the name Thrissur is the 'town with the name of Lord Siva'. 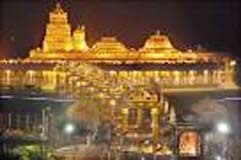 Tirupati is situated in the Southern region of Andhra Pradesh of Chittoor district .One of the most famous Hindu temples in the world is at Tirumala crowning the seven hills, with Lord Venkateshwara as presiding deity. 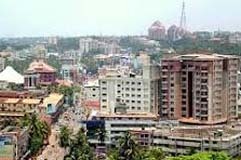 Trivandrum which is also popularly known by the name Thiruvananthapuram is the capital of Kerala and is located at South Western tip of India, bounded by the Arabian Sea on the West and the Tamil Nadu on the East. 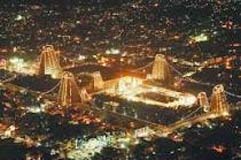 Tiruchirapalli or Trichy, situated on the banks of river Cauvery and it is the fourth largest city in tamilnadu. Varkala is one of the most attracted tourist destination in Trivandrum situated in southern Kerala.It is noted for its ayurvedic resorts and beaches.Varkala is situated at a distance of about 40kms from Trivandrum. 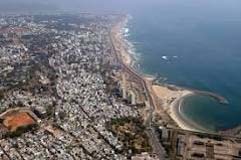 Visakhapatnam popularly known as Vizag offers golden beach that stretch as far as your imagination, green hills rising high on the other side.It is the second largest city of Andhra Pradesh. 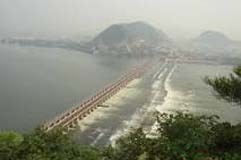 Vijayawada about 257-km from Hyderabad and is located on the banks of the Krishna River.There is a number of tourist’s spots having religious, archeological and historical importance. 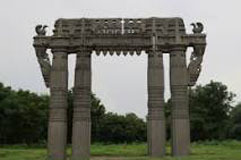 Warangal situated at a distance of about 131kms from Hyderabad is noted for its beautiful temples, picturesque lakes alluring flora and fauna all around. 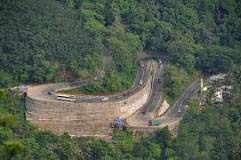 Wayanad is situated in the Kerala border at a distance of 76 km. 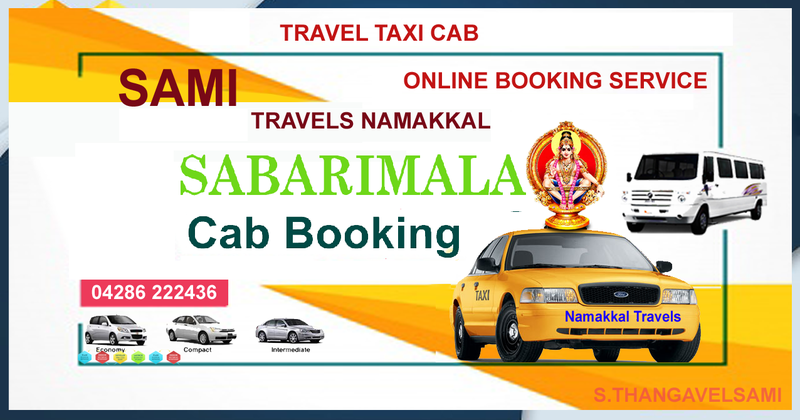 from the sea shores of Kozhikode and at an altitude of about 2100 to 7000 feet above sea level. 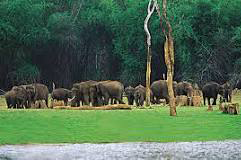 The Wayanad Wildlife Sanctuary is at a distance of about 18 km east of Sultan Bathery.This sanctuary extends into two regions of Kerala namely Cannanore in the north and Calicut in the South. 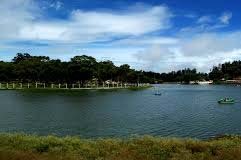 Yercaud apart from its beautiful landscapes is also spaced with some plantations like Coffee, cardamom and black pepper.